The Mercer County Workforce Investment Board (WIB), America’s Small Business Development Center at the College of New Jersey (ASBDC at TCNJ) and the City of Trenton Office of Economic Development are creating a recruitment model/program initiative specifically for our Mercer County manufacturers. 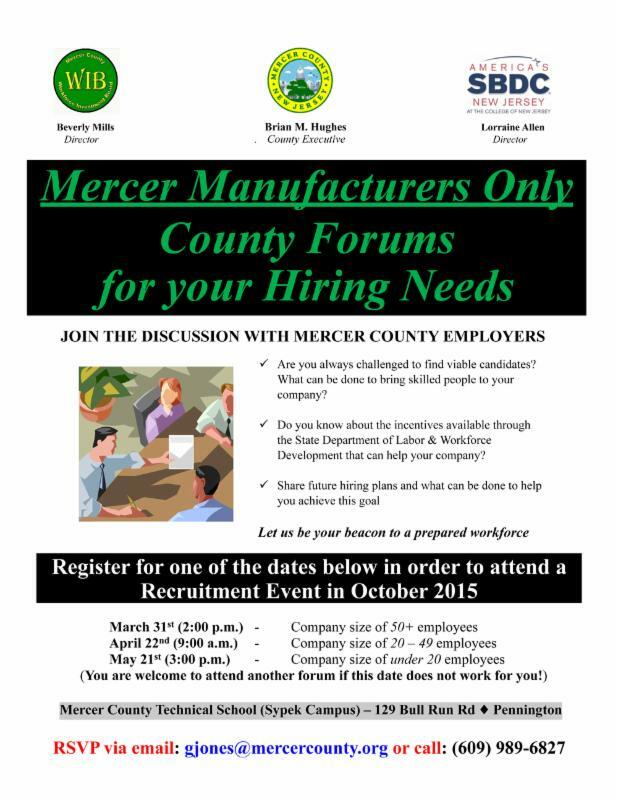 All dates will be hosted at the Mercer County Technical School (Sypek Campus), 129 Bull Run Road, Pennington, NJ. There is no cost to attend. 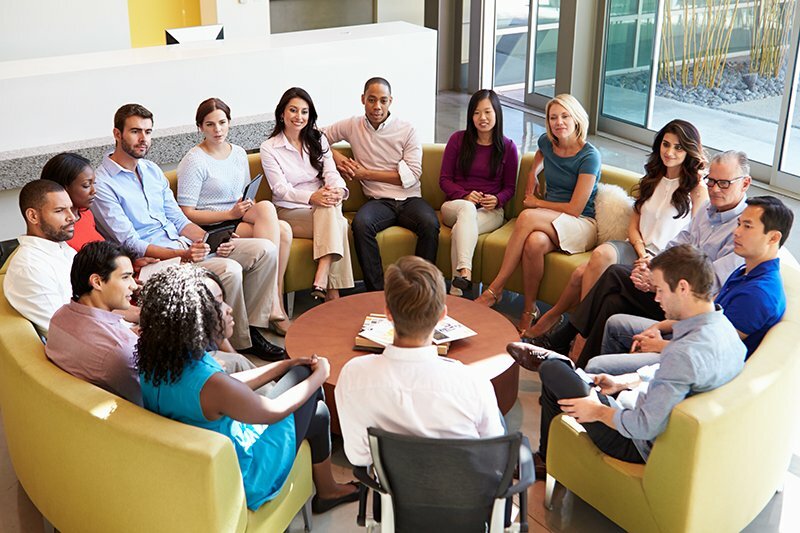 The purpose of these forums is to hear from you – to learn about your hiring challenges and minimum requirements to recruit qualified local employees. Help us analyze the current state of our local manufacturing sector and how we can work together to provide an outlook for future employment by initiating a formalized effort in the fall. Additionally we will share with you the current incentives and flexible programs designed by NJ Labor and Workforce Development to help you train your employees. We invite all Mercer manufacturers to be part of this important discussion. Cick on the flyer above for more information or contact us at the information below to RSVP today. RSVP today by emailing gjones@mercercounty.org or call 609-989-6827. We look forward to seeing you at one of the forums!